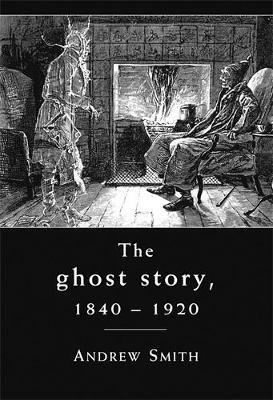 The ghost story 1840-1920: A cultural history examines the British ghost story within the political contexts of the long nineteenth century. By relating the ghost story to economic, national, colonial and gendered contexts, it provides a critical re-evaluation of the period. The conjuring of a political discourse of spectrality during the nineteenth century enables a culturally sensitive reconsideration of the work of writers including Dickens, Collins, Charlotte Riddell, Vernon Lee, May Sinclair, Kipling, Le Fanu, Henry James and M.R. James. Additionally, a chapter on the interpretation of spirit messages reveals how issues relating to textual analysis were implicated within a language of the spectral. This book is the first full-length study of the British ghost story in over 30 years and it will be of interest to academics, graduate students and advanced undergraduates working on the Gothic, literary studies, historical studies, critical theory and cultural studies. 'Makes an important contribution to the field of Victorian cultural studies' Simon Hay, Connecticut College, Victorian Studies, Summer 2012 -- .